If your siding is outdated, or is not performing the way you want, one of the best things you can do to add peace of mind and curb appeal (and resale value, if you need it) to your home is to update the siding. This sounds easy, but siding comes in many shapes and styles. 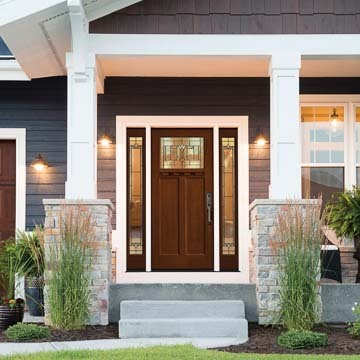 Selecting the right shape, or a combination of shapes, is critical to creating the look of your home - when you drive up to your front door, you want to see a pleasing and inviting facade. If it is time for you to look for new siding, Chapman Windows Doors & Siding can help. All siding styles we offer are weather-tight and high performing so ultimately your style 'pick' is a matter of personal appeal. Our expert designers will explain your choices and advise you as you make a selection. We can even offer you a tour of your own home with different siding styles – using a virtual design program, we can dress a digital image of your house with any of the styles we offer, or create a combination of styles to accent your building's features. After all, 'look before you leap' has always been good advice! Below, we provide a brief explanation of choices in siding styles. Shakes – Shakes, or shingles, are rectangular shapes which give the appearance of siding made from split logs. Shakes can be applied as 'smooth edge' with the vertical ends of the shake lined up; or staggered, with the end points at varying intervals along a horizontal plane. Shakes work well as an accent with dormers and gables. They help to visually break up a long expanse of wall. Shakes are typically used in an accent wall, but a smaller Cape Cod style, Cottage, or Rustic house might be sided overall with shakes for a pleasing effect. Hardie Shingle is an excellent choice for application of the Shingle or Shake style, as it offers color choices especially suited to those designs. Scallops – as the name implies, Scallops are curved-end shingles which overlap to form a weather-tight siding. Scallops in function are similar to Shakes - they are vertically applied with overlapping to give coverage. Scallops are typically used for an accent under gables or in a Victorian style building. Traditional Lap –Lap style siding refers to horizontally overlapping boards. This siding is typically applied as long, fairly thin boards, with varying widths available. Lap siding is also referred to as Clapboard siding. It is the most common siding style used in our area, and is well suited to Colonial, Traditional, and Contemporary buildings. Dutch Lap – Dutch Lap applies a variation to Traditional Lap. 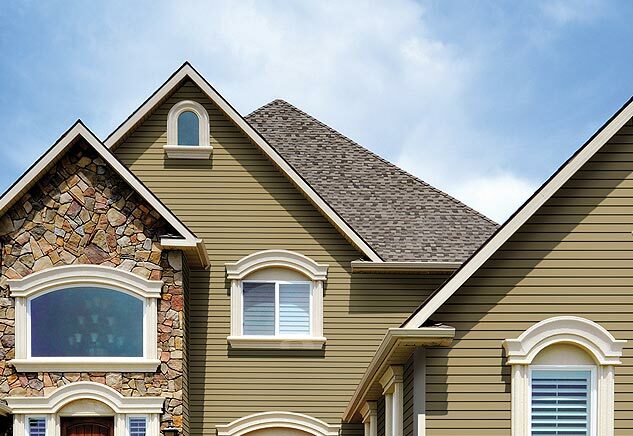 With Dutch Lap siding, a small amount of curve, or 'hip' is present in the siding's profile. The curve provides a stronger shadow line than traditional lap. Dutch Lap is a very popular choice for Colonial and Traditional homes. 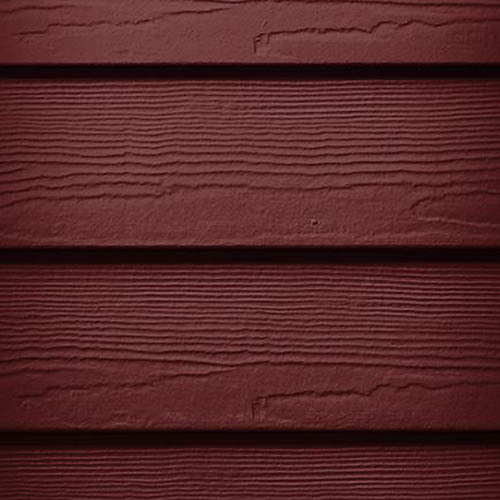 Hardie Plank Lap – another variation in typical Plank Lap that is worth considering, Hardie Plank Lap is the best selling siding in America. This plank siding comes in a variety of widths and styles and lends an authentic wood grain look to your building. Beaded – Beaded siding is traditional lap-style siding with a bead edge. Typically used with a wider exposure, Beaded siding's decorative edge can lend a more formal look to a house. Beaded siding is typical in Plantation style homes, but also works well in larger Colonials. Horizontal Panels – Horizontal panels, or planks, are the most used siding style. The 'panels' equate to boards and can come in varying board widths. They are applied with an overlapping edge to look like traditional wood siding. Horizontal panels work well in Colonial, Traditional, and Ranch style buildings. Variations include Traditional Lap and Dutch Lap. These panels also work well with larger buildings, and are great to combine with dividers or other styles of siding in larger homes where a long board run should be broken up for architectural interest. Vertical Panels – Vertical-oriented siding describes planks applied from 'top to bottom' with the vertical length being larger than the width. A favorite in Contemporary architecture, vertical panels accentuate the height of your home, and work well for buildings with a lot of variation in elevations. Hardie Vertical Panels – Hardie Vertical panels offer a variation in vertical panels - they combine the visual properties of vertical panels with the possibility of a stucco look to preserve the French Colonial or Traditional Farmhouse look of your home. Board and Batten – Board and Batten styling refers to siding that consists of vertical planks with adjoining seams covered by a smaller additional overboard that is also vertically oriented. This style takes its cue from agricultural buildings and is often used for barn conversions or as a rustic accent for garages and outbuildings. Board and Batten also works well for larger homes where different detail is needed to break up a large wall expanse.